In the last post I wrote about some of the questions we have gotten from family & friends since sharing with them that we were moving to the Middle East, however; I didn’t write about the one question that I have received more than any other: “Are you scared?” I thought I would take a moment to answer that question. Yes, I am very scared. I think that most people are asking me this question thinking that I am scared of living and working in Kuwait, and at this point I feel really great about that decision. I am not scared of immersing myself into a new culture and learning about a new religion, I welcome that aspect of our move. I am not scared of the current political situation in Kuwait. Kuwait’s neighbors have been politically unstable for quite a long time but Kuwait itself has been doing great. All that said, I am scared. I am deeply terrified of missing my family and friends. I don’t know how you move 6,746 miles away from the people you love without being scared. As the days get closer I feel that pit in my stomach grow and grow. As I was telling Mitch about this fear the other day he looked at me and said “Home is always just a plane ride away.” and it made my pit shrink at least a tiny bit. My nieces and nephew….wouldn’t you miss these cute little faces too? 1. Is it safe in Kuwait? That is really a personal question. From all the research and reading that we have done we feel that it is a safe decision for us. It is however a big city, and just like I wouldn’t go walking around Minneapolis by myself at 3:00 a.m. I will not be walking around by myself in Kuwait at 3:00 a.m.
Mitch and a I really targeted in on the Middle East for a variety of reasons but one of the biggest reasons was the travel opportunites. The Middle East is called the middle for a reason it has such easy access to Africa, Europe, and Southeast Asia and we wanted to be able to explore all of those areas. Once we nailed down that we wanted to be in the Middle East we started to look for countries that fit in what we were looking for. It was important for me that women would have certain rights such as driving and wearing western clothes and we really needed to find a place that both of us could secure jobs, Kuwait just seemed to check all of those boxes. 3. What will you be doing over there? Mitch and I will both be working on an American school. 4. Will you come home to visit? 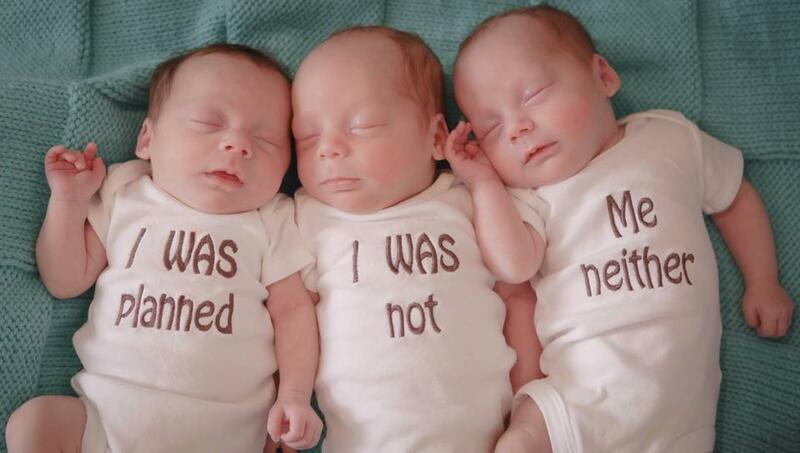 Ummmmm, ya, I mean we just became an Aunt and Uncle to some super awesome triplets. It will be hard to keep us away from those babies. The school we will be working for has a very typical American school schedule so we will be spending June, July, and August in Minnesota. 5. What language do they speak there? Arabic is the official language. I spent time trying to learn Arabic and quickly realized that I am very glad that English is also very widely spoken. 6. Do women have to be covered? As an American woman I do not need to be covered in Kuwait. I of course will respect local customs and dress conservatively and cover my head if/when I tour a Mosque. 7. Will you live on a compound? Nope, we will live in an apartment complex with the other teachers from our school. 8. Are you allowed to be open Christians? Yes, Christianity is allowed and accepted. We are interested to see if we find a church that fits our belief system while we are in Kuwait. I don’t assume for a second that will be an easy feat as we struggle with that immensely in the US as well. Getting a work visa has officially become the bane of my existence and that is only slightly exaggerating….seriously. I can’t move forward to the next step in the process until the step before it is completed….it is a giant game of hurry up and wait…ugh! It is killing me. If any one has a magical formula to teach yourself patience I would greatly appreciate you passing it along to me. Part of our decision to move to the Middle East was that we have very little holding us back. It seemed like such an easy and carefree time in our lives to make a decision like this, we just had one large item we needed to take care of before we really had zero responsibility, our house. 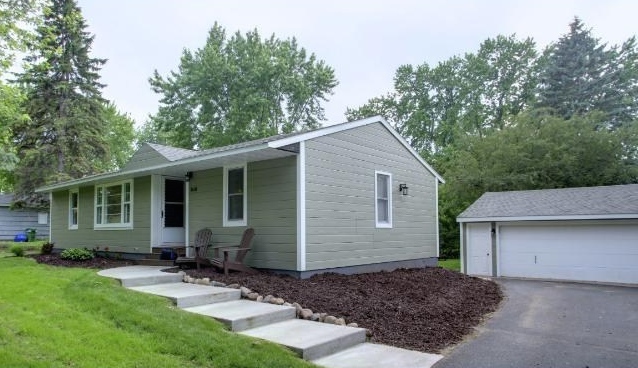 We needed a plan, it had to be rented or sold before August. So we did what anyone would do in our situation when they found out they were moving to the other side of the world; we avoided it. We did nothing to get ready for this in February, March or April and all of a sudden it was May 1st and we had a mini panic attack that we needed to make some decisions with our house. So we met with a rental agency and a couple different realtors and decided selling was the best way to go for us. So we took a long hard look at our house and decided that we had to some work to do. So we called family and friends and got to work. 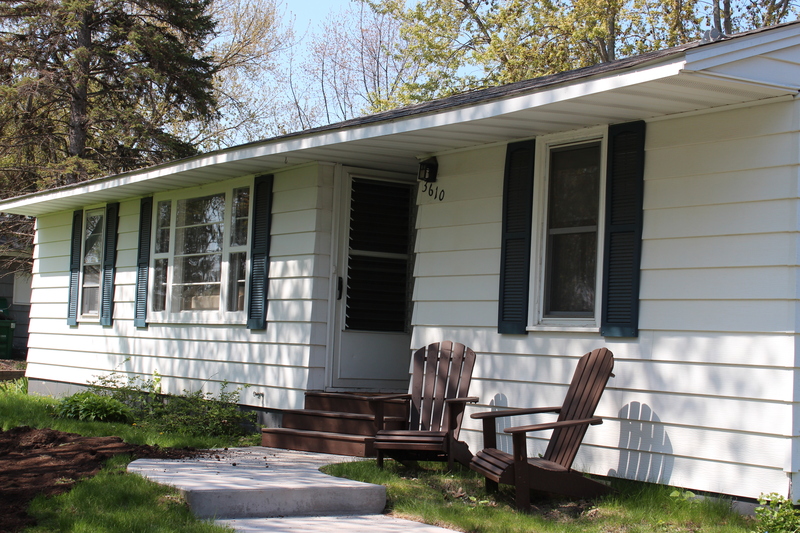 That is how our house went from looking like this…. Mitch and I have been talking about wanting to move overseas for at least the last 6 years. Without even trying to, our friend Mike gave us that nudge we needed to stop talking and start doing. Mike and I taught together for a couple of years and one afternoon while we were outside setting up a geocaching course for kiddos he looked at me and said “I am moving to the Middle East.” Needless to say I was instantly jealous that he was taking the jump into something that I was only dreaming about at that point. 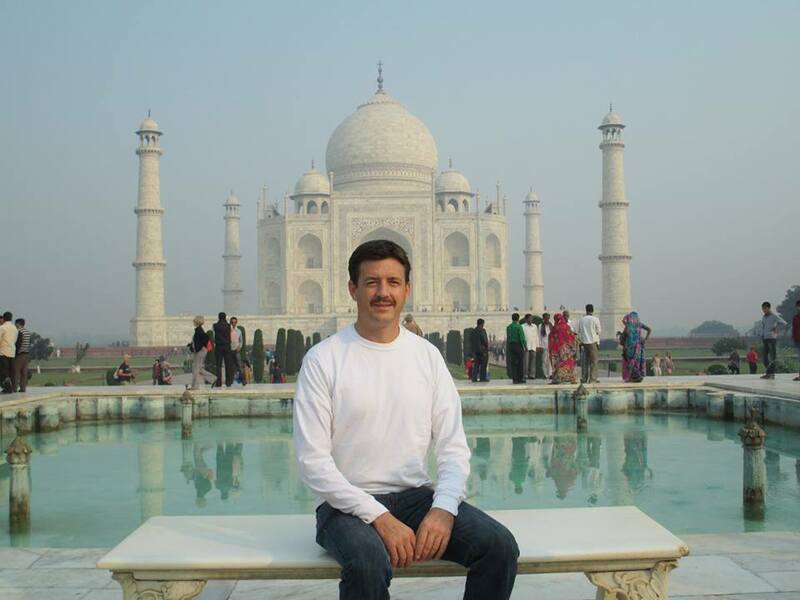 How can you not be jealous of a man who sits with amazing posture with a wicked ‘stache at the Taj Mahal. Maybe you’ve read a bunch of these already or maybe you’re like me and did absolutely no research at ALL hahaha. It’s the greatest thing I’ve ever done. http://masedimburgo.com/2014/06/04/17-things-change-forever-live-abroad/ If you have a few minutes check out the article he sent, maybe it is just the nudge you need to take a leap into the unknown.